Pest attacks, especially in eastern Africa, continue to affect food production with 17,000 hectares of food being destroyed in eastern Tanzania alone. 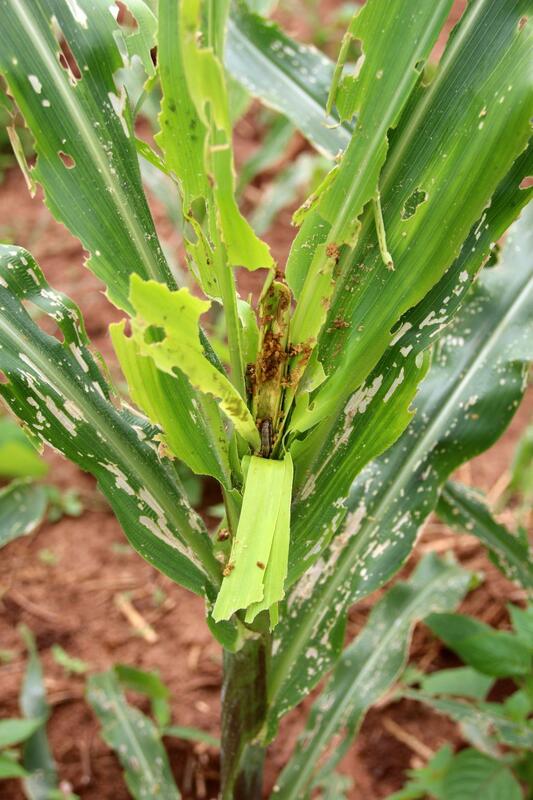 Pests like fall armyworms, rats, and quelea birds have mostly assaulted maize, rice and cotton farms in Kilosa district. Maize harvests will reduce to 100,354 tonnes this harvest season, which is a drop of 33,062 tonnes. Ethiopia is facing a similar situation with fall armyworm affecting 87,000 hectares of land and causing crop losses in eight states. Its neighbour, Kenya, has decided to spend KSh600 million to fight armyworms this season. The country will set aside another KSh1 billion for research and purchase of pesticides for future use. Meanwhile, researchers in Kenya have urged government to adopt genetically modified seeds to fight armyworm. The researchers allege that the pest was introduced into maize seeds deliberately by international seed dealers in conjunction with some local dealers to create a market for pesticides. Fall Armyworm threatens to destroy 70 per cent of projected harvests. Hence, the researchers want the government to adopt genetically modified seeds “where we can easily introduce into the market a variety that has an inbuilt guard against such attacks by specific pesticides”. Accoridng to Kenya-based Water Efficient Maize for Africa, which is carrying out maize trials in Kasese, Uganda, has suggested that the genetically modified variety is armyworm resistant. Are GM crops a real solution to pest attacks in Africa?